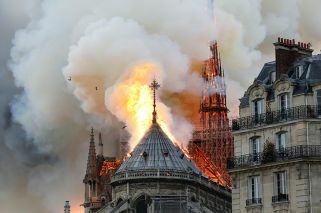 Flames and huge clouds of grey smoke seen billowing into the sky, with status of 850-year-old cathedral unknown. The Paris police department in a tweet called on residents to avoid the area and to "make way for rescue vehicles." 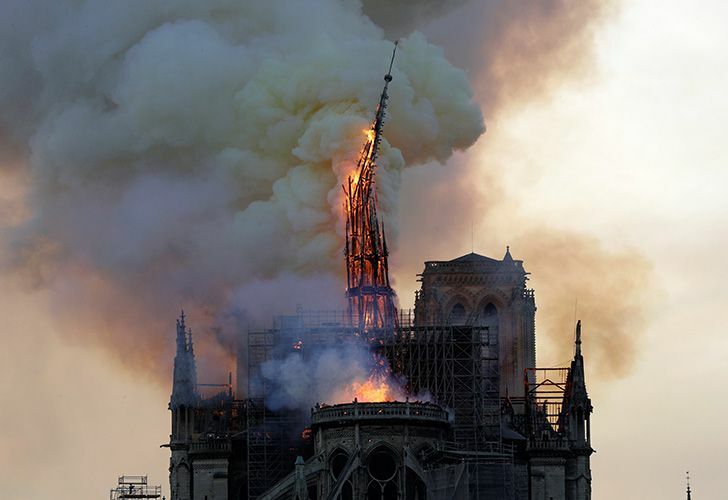 Paris mayor Anne Hidalgo in a tweet described it as a "terrible fire." The peak of the church is undergoing a six-million-euro (US$6.8 million) renovation project.